2017 Q3 – Where is the Ceiling? It’s common for people to ask Realtors about “the market”, so you know I get this question often. If you read my entire article, perhaps you’ll wonder as do I, where this current market ceiling is and when we will hit it. Always hand-written with stats direct from our local MLS. Sales volume is typically waning in the 3rd quarter, so it’s no surprise we saw a small decrease in sales over Q2. But Q3 of 2017 was down 10% over the same time last year. 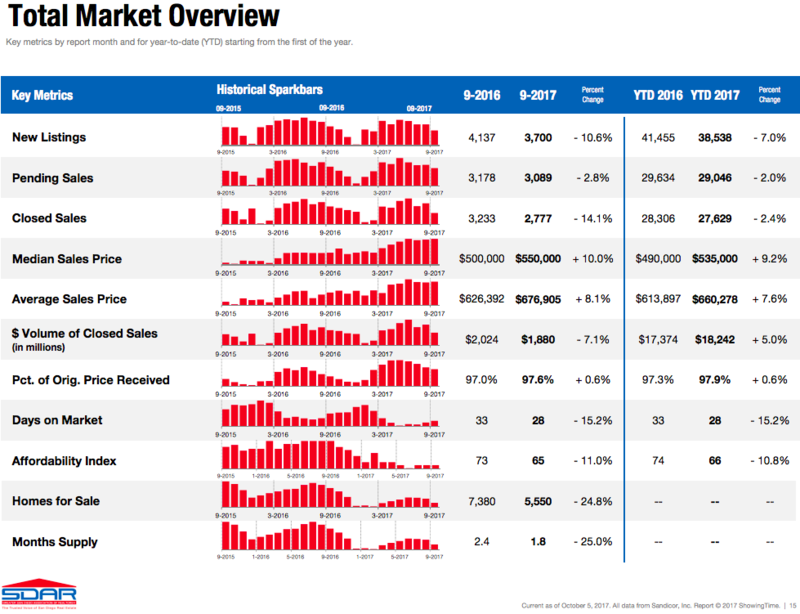 This stat alone might indicate a slowing market, but considering that total inventory is down over 20% from last year, a 10% drop in sales volume is expected, if not an indication that the market is still fairly strong. Regardless the cause, our sales volume is fairly steady, despite record low inventory to choose from, which is why prices have continued to rise. I’ve been using the following quote in my updates for a few years now, “As soon as I thought inventory couldn’t get any lower, it did” and there doesn’t seem to be an end in sight…. We saw a minimal seasonal upswing in Q1 & Q2, but it was muted as sales outpaced new listings. New listings were down ~7% this year. We ended Q3 2017 with 24% less inventory than in 2016 at the same time. Inventory has been dropping consistently for over 5 years now, it makes me wonder if a sell out is going to happen or if this is the new norm. The rental market is very similar, too, with high prices and low inventory. Our rolling monthly average for inventory is down about 18% for detached and 22% for Attached. The fed raised the Federal Funds Rate went up 3 times in the last year, but the recent Fed decision was to keep the rate steady at 1.25%. We’ll see what they do at the next meeting. In February, When Janet Yellen’s tenure comes to an end, she will be replaced by Jerome Powell. Tax reform is another big change being pushed through congress at this time. I don’t know enough about tax law to really dissect what’s going on as a whole, and it’s still in negotiation stage anyways, but I have read that there is talk of lowering the mortgage interest rate deduction cap from $1mil to $500k, to eliminate the mortgage interest deduction for 2nd homes & equity lines altogether, and to create a property tax write-off limit of $10k. All homes bought prior to the bill would be grandfathered in, so I wonder if there will be a push in the next couple months to buy more expensive homes?? I will be keeping a watchful eye on this at it develops and will report on progress in my next Market Updates. Price is a balance between supply and demand. Activity as a whole has gone down, but Supply has gone down noticeably more than sales. Thus, we have seen a pretty consistent rise in home values all year with the end of Q3 2017 about 9-10% higher than Q3 of 2016. Seasonally, market prices usually peak near the end of the 2nd quarter, which they did this year. 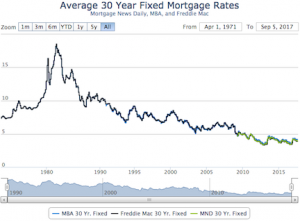 Most of the 3rd quarter was relatively flat on pricing. Current detached median value is $610k and Attached/condo median value is $414k. The rolling 12-month average is up about 7%. 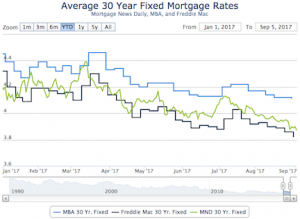 Our extremely low inventory, good home loan rates and solid economy are all pushing sales demand, despite the lowest affordability in about 10 years. If you look at the “Months supply” on the above chart, you’ll notice that’s trending down. Month’s supply is a basic representation of the supply/demand curve. It’s clear that demand outpaced supply and prices rose the first 6-9 months. As I write this, the last month feels pretty slow, which I have corroborated with other brokers and title reps. But with so few properties for sale, most sellers are going to stick to their guns and expect more than the last comparable sale, or just wait til the spring and re-list. While some buyers may be wary of “paying more”, their very few options are going to be picked up by a more motivated buyer if they hesitate much longer. I believe we will continue to slow down as we head into the holidays with a severely diminished inventory and a group of buyers wondering when things will be in their favor once again. And while I expect sales volume to drop at the end of 2017 along with inventory (which is the seasonal norm), I don’t expect prices to drop. I expect them to stay mostly level due to the complete lack of inventory. Because we will likely hit an all-time inventory low at the end of the year, January will likely start fairly slow, but then heat up the rest of Q1 2018. In the more central/coastal areas, I expect to see another decent year of growth next spring – about 3-4% the first 2 quarters. 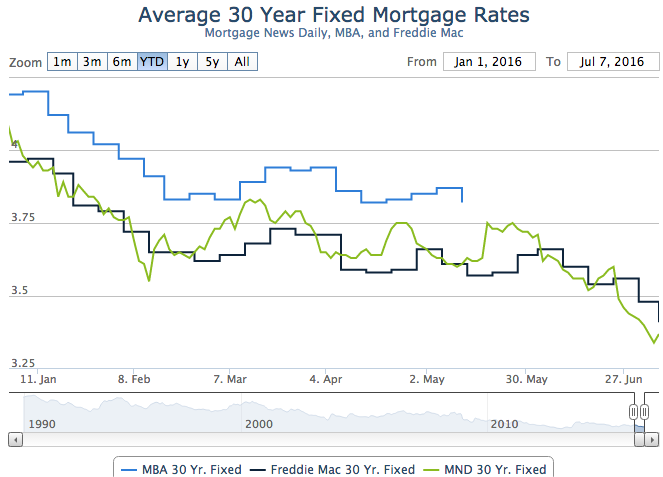 I also will predict a .25-.5 rise in home loan rates by year’s end, most likely realized in the 2nd half of Q4. The geo-political landscape is pushing investors to more safe/secure bond markets right now, but I’m hopeful the world will stabilize and rates will rise back up a bit. If you got this far and read my entire article, please let me know what you think. You’ve got a free lunch coming to you! Thank you for reading – I appreciate your time as well as your comments. And thank you for your referrals – they are the foundation of my business at over 90% the last 4 years.